Choice + Control: What Is A "Resilient" Workplace? - LOTH, Inc. Choice + Control: What Is A “Resilient” Workplace? 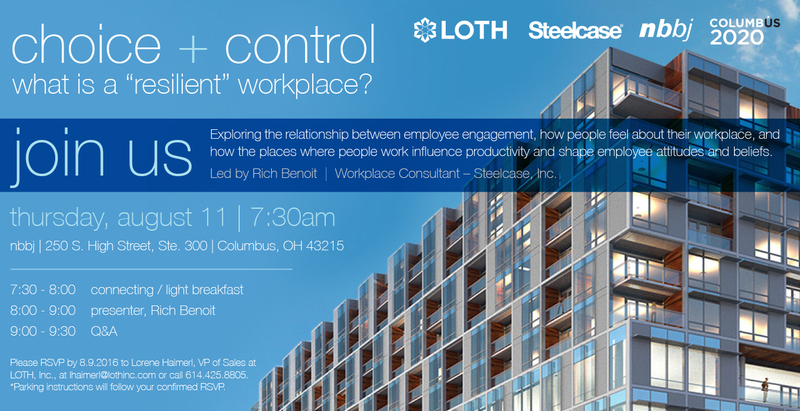 Please RSVP to Lorene Haimerl, VP of Sales at LOTH, Inc., at yunvzrey%25ybguvap%23pbz@no-spam.com or 614.425.8805. *Parking instructions will follow your confirmed RSVP. 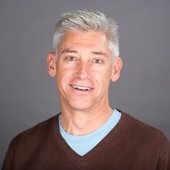 Richard Benoit is a Workplace Consultant with the Advanced Solutions Team at Steelcase, and based in Grand Rapids, Michigan. In this role, he promotes the research and insights developed by the company to support the development of a highly effective, interconnected workplace. Rich has been in the consultant role since 2009 and has been engaged with several key accounts including Starbucks Public Health Management Corporation, Lilly, SunTrust Bank, Sikorsky Aircraft, Sun Life and Clorox. Over his 29 year tenure with Steelcase, he has also worked on the marketing and development of various product categories. He holds a bachelor’s degree in Architectural Engineering from the University of Colorado.